This photo includes Oliver Skerritt (RIP), Nellie Kelly (RIP), and Joe Pilkington. Can you name the other children? 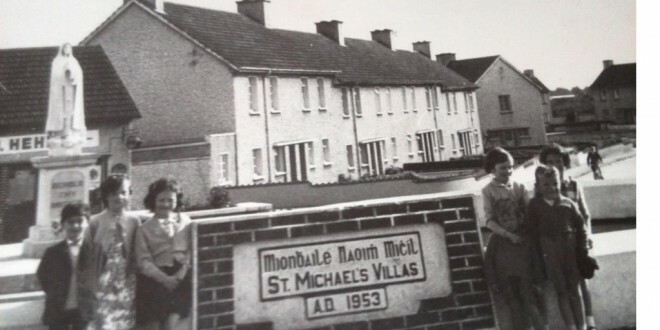 LOCAL historian, Cora (Hahessy) McNulty is working on a history of St Michael’s Villas, in association with the Clare Roots Society. The book will be launched on June 18 next. Cora is putting out an appeal for the names of the children in the photograph above and is seeking two photographs, which must be included in the book. One is a photograph of the St Michael’s Grotto Committee. This committee was formed in 1958 to raise funds for the construction for the iconic grotto in St Michael’s. A photograph appeared in The Clare Champion of the blessing of the grotto in March 1960. Cora has a very poor copy of this photograph and is confident that someone out there has an original. 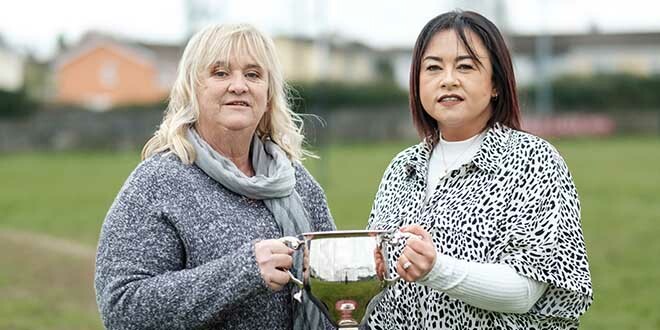 The committee members were as follows: PJ McGarry (chairman); P Considine (designer); M Ryan; M Coleman; J Lynch; P Sheehan; J McGuane; M Kinnane; T Coffey; M Culligan and R O’Brien. The second photograph being sought is of the victorious St Michael’s/Ard na Greine CBS hurling team (third/fourth class), which defeated An Bhaile in June 1966. Ger Hanrahan was captain of this team. Others on the St Michael’s/Ard na Greine team were Paddy Pigott, who was Man of the Match, Sean Dinan, John Leahy, Sean Hahessy, Oliver Skerritt (RIP), Joe Hanrahan, Jackie Hynes, Martin Corry and a young German boy, Ian Biddulph. Ollie Byrnes recalled this game in his hurling book, Against the Wind, but was unable to provide a photograph of the team. Cora is convinced that somebody out there has these two photographs and is appealing to people in an effort to locate them. The history of St Michael’s Villas must include these two important photographs. If you can help Cora, contact her at coramcnulty@gmail.com or by mobile on 087 9873702.